women with solely female identified contributors, for curious viewers minds with an aesthetic eye. The September Issues is a space for liberated self-expression, and a platform to build community where we, as artists and women can speak our truths in the most unfiltered, fulfilling way. Without rules, we’re asking what creativity looks like outside the usual circumstances in which we create it. And we’re looking at the dynamic between life and creativity. 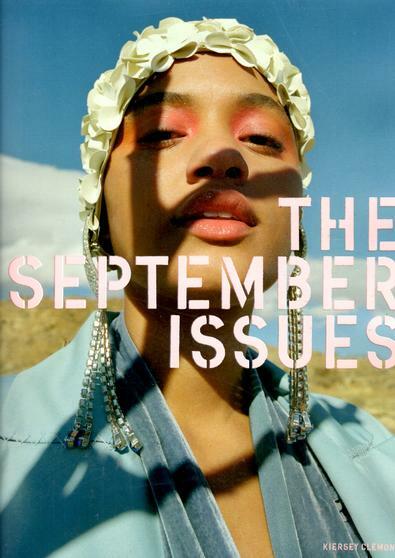 As a diverse, ever- evolving group of voices, The September Issues is a source for learning and sharing ideas of identity, discovering rituals & ceremony, celebrating pioneers both known and unknown, and exchanging the vast storytelling of women’s lives through many vocabularies - visual, intellectual, and expressive. Be the first person to tell us what you think about The September Issues and you'll save $5 on your next purchase!